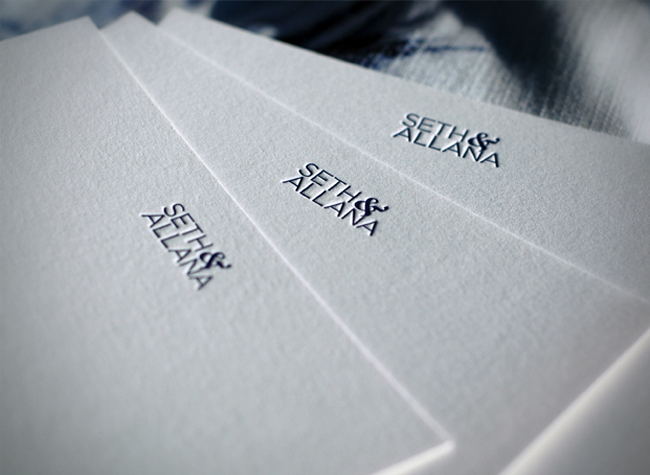 I designed and printed notecards for Seth & Allana. 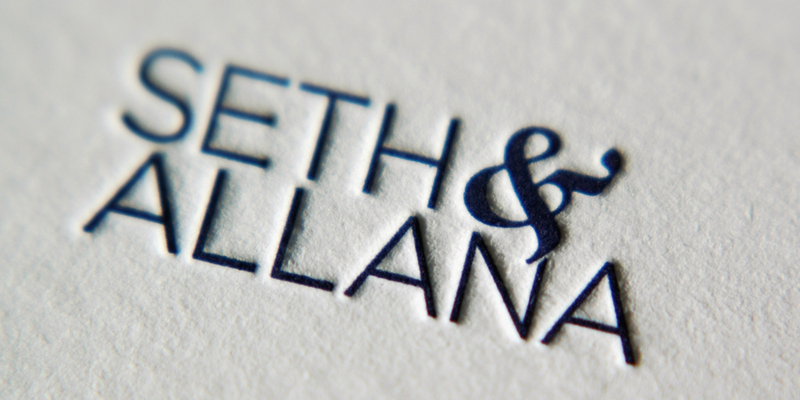 The design is a clean, classic wordmark with additional emphasis on the ampersand, symbolizing their recent engagement. 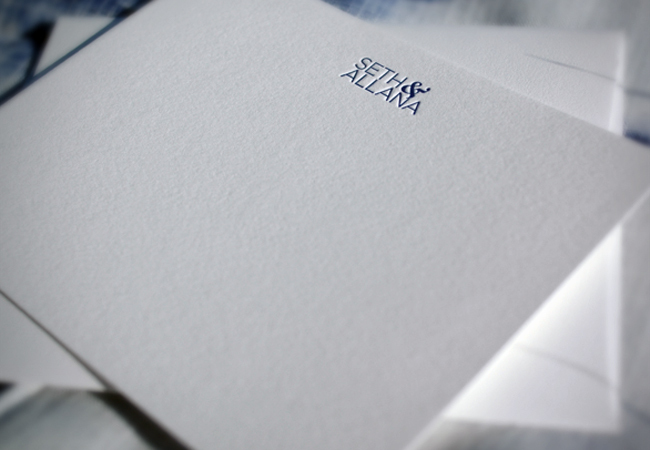 Navy blue was chosen as the ink color and the paper was Cranes Pearl White Lettra with matching envelopes.